Back in January we wrote about some of the hottest blockchain startups to watch in 2018. Our last article was heavily focused on blockchain startups in the cryptocurrency space. A lot has changed since then. According to the latest research and markets report, Blockchain market size is anticipated to reach $60.7 billion by 2024 from $708 million in 2017. Blockchain is the technology that underpins cryptocurrencies like Bitcoin, Litecoin, Ethereum, Ripple and others. Blockchain’s applications are, however, not only limited to cryptocurrency. New innovative startups are now using blockchain in ways that revolutionize the traditional industry. Blockchain application and operational use cases range from imaging technology to solving crimes in our cities. Today, we are going to take a look at some of the promising blockchain startups to watch in 2018. The list is not in any way comprehensive. Feel free to send us the name of blockchain startups you would like us to this list. About: Humaniq is the most read story on our platform. Reaching a technological and a community-building milestone gives Humaniq reason to be confident for future expansion, as it finds way to cut transaction costs, and hundred thousandth community member joins. Humaniq has achieved the first working hybrid Blockchain with the 2.0 version of its app, to retain the benefits of the Ethereum main-net while expanding faster. On Monday, Humaniq launched 2.0 version of app is delivered on a unique Hybrid Blockchain. In a technological milestone, it is the first project with a working hybrid Blockchain that is not in prototype or beta-testing stage. Humaniq has successfully solved the problem of scaling ERC20 projects. The new, improved app sits on the Ethereum Blockchain with the unique combination of sidechain solutions in individual African countries, such as Uganda, Senegal, Zimbabwe, Tanzania and Rwanda. About: Conjoule GmbH, was founded in 2017 to create a whole new digital, democratised approach for how we all exchange energy. Conjoule is using blockchain technology tobreak down barriers to choice, freedom, and transparency for our customers. Their first focus was on building a flexible renewable energy marketplace for energy customers. Conjoule’s aim is to offer everyone local, clean energy; to offer people greater community, value and personal ownership; and to open a whole new way to think and feel about the role of energy in our lives. Conjoule offers a blockchain platform designed to support peer-to-peer trading of energy among rooftop PV owners and interested public-sector or corporate buyers. The company was hatched in Innogy’s Innovation Hub in 2015 and pulled in $5.3 million in funding from Tokyo Electric Power Company and others in July. Conjoule has been running a pilot in Germany for the past year. About: Inveniam Capital Partners is an innovative, digital marketplace that aims to transform the structure and operations of middle market corporate finance and substantially increase the availability of capital for Small and Medium-Sized Enterprises. 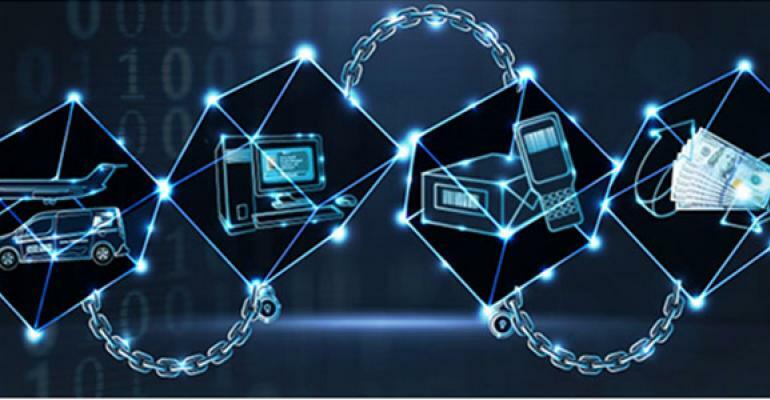 Inveniam has built a powerful technology platform that combines its proprietary Workflows for Investment Services Engine (“WISE”) and the distributed ledger technology of the blockchain to effect that transformation. Inveniam is the first organization to successfully structure and tokenize a debt instrument that is capable of being listed on a public market. Equipped with a working product, Inveniam uses Decentralized Ledger Technology (DLT) and “regulated” contracts and tokens to transform structuring, clearing, custody and settlement of fixed-income instruments. This “regulated” token acts as the passkey for all of the underlying documentation associated with the debt, which trades with the token for the life of the instrument. About: Faceter is a computer vision surveillance technology powered by fog network of miners. 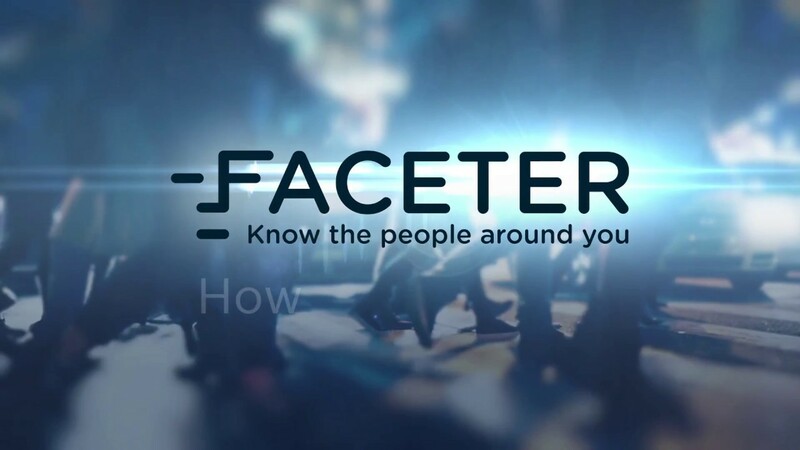 Blockchain-based surveillance startup Faceter detects crime in real-time. Faceter claims it can use its decentralized surveillance technology “gives brains to cameras” by enabling them to instantly detect faces, objects and analyze video feeds. Although some B2B providers do offer similar features, the company claims they are currently too expensive for smaller firms and the public at large because of the “substantial computing resources” such technology needs. About: Greeneum is a decentralized platform that rewards you for supporting an eco-friendly future. Energy production is the number one cause of climate change, yet over a quarter of the world’s population lives without access to electricity. With Greeneum, stakeholders can reliably produce, trade and consume clean energy on a world-wide scale. Greeneum supports eco-conscious living and business — the greener you go, the greener the reward. Greeneum recently revealed it is running test nets and pilots for its peer-to-peer energy trading platform “in Europe, Cyprus, Israel, Africa and the U.S.” It expects to have a viable product platform out by mid-2018. About: Fr8 is a specialized freight marketplace for shippers and carriers. It provides access 40000 trucks nationwide to haul your specialized freight. Equipment, machinery and heavy haul shipping. Fr8’s blockchain network facilitates the digitization of record-keeping related to the trade of assets, even in scenarios where intermediaries and brokers are incentivized to resist change. Last year, trucks drove 29 billion empty miles in the U.S. alone. By applying blockchain, Fr8 helps to streamline and organize the industry in a trustworthy manner. With FR8Star tools, shippers can save time by booking freight instantly and limit costs by sourcing carriers and easily manage their flatbed, oversize and overweight transport. Carriers gain lightning-fast and reliable payments, business insights into their line haul costs and unique access to direct open deck loads. About: The NEM.io Foundation is a non-profit organization founded in Singapore with members across the globe. The Foundation is dedicated to the ongoing development of NEM blockchain technology and the promotion of a vibrant ecosystem of NEM users and developers in governments, academia, industry, and the public at large. It is currently one of the most well-funded and successful blockchain technology projects in the cryptocurrency industry. Launched in 2015, NEM is the creator of a peer-to-peer cryptocurrency and blockchain platform providing payments, messaging, asset making. NEM is the world’s first Smart Asset blockchain built for enterprise-grade performance, NEM’s blockchain technology delivers a world class platform for management of almost any kind of asset: currencies, supply chains, notarizations, ownership records and more. The company recently announced the release of a new service called Catapult. Catapult is a full-featured blockchain engine that can power both private and public networks with its unique smart contract plugins. These plugins enable bulletproof digital asset creation, decentralized swaps, advanced account systems and business logic modeling. About: Verisart is the world’s leading platform to certify and verify artworks and collectibles using the Bitcoin blockchain. Since its launch in 2015, Verisart has provided contemporary artists including Shepard Fairey with a free and easy way to generate permanent certificates of authenticity and reduce the scope for fraudulent activity. 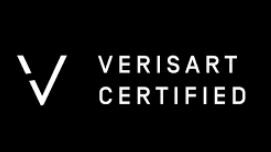 Verisart combines museum certification standards, distributed ledger technology and image recognition to its provenance and registry services. The company is headed by Robert Norton, formerly CEO & co-founder of Saatchi Online & Sedition Art and its Board Advisers include Peter Todd, Bitcoin core developer and Dr. Ahmed Elgammal, Professor of the Art & Artificial Intelligence Lab at Rutgers University. The Verisart is using blockchain to fight art forgers. Los Angeles-based startup, Verisart, is using blockchain decentralized technology to verify the authenticity of artwork. The startup is helping artists and collectors with new ways to certify, document, verify and enliven their works. It’s a problem as old as art itself, said Norton, and artists have long been unreliable when it comes to documenting their own work. About: The Invox Finance platform is a decentralised peer-to-peer invoice lending platform that will allow sellers, buyers, investors and other service providers to directly connect, interact, share and distribute information. Invox Finance aims to disrupt and revolutionise traditional invoice financing by implementing a system where trust and transparency between all parties is developed through an in-built reward system. The current problem with traditional invoice financing is that the financier does not have a direct relationship with the buyer and that the financier solely trusts the information provided by the seller. As a result, the relationship between the buyer and the seller is not completely transparent to the financier and this increases the risk of an unpaid invoice and refused settlement. Invox Finance uses dynamic invoices on a distributed ledger, which will provide all parties with the ability to update invoice information in real time, ensure immutability and manage sensitive information access. About: Mossland is a location-based, augmented reality mobile game focused on real estate and powered by a blockchain. Players can move through cities, log in to different locations, and become virtual owners of various attractions. The game uses the Ethereum-based cryptocurrency Moss Coin for all purchases and sales of in-game land. Mossland app uses ‘check-in’ technology similar to apps like foursquare to let users view, buy and sell virtual real estate, with even famous landmarks such as the Statue of Liberty or the Eiffel Tower potentially up for grabs. Mossland lets users earn money while playing. Using the purchasing and selling of property and accessories for it, user can directly influence the recognition of building (and the level of income). About: Sun Exchange is the world’s solar panel sharing economy. Sun Exchange’s motto is “solar-powered money.” Founded by U.K. utility-scale solar pioneer Abraham Cambridge, the company aims to let supporters around the world crowdfund PV down to the level of an individual solar cell and lease them to schools and businesses in Africa. The company’s marketplace is focused on funding and building new generation systems, rather than trading power. Sun Exchange has been operational for several years and has successfully funded four solar projects. 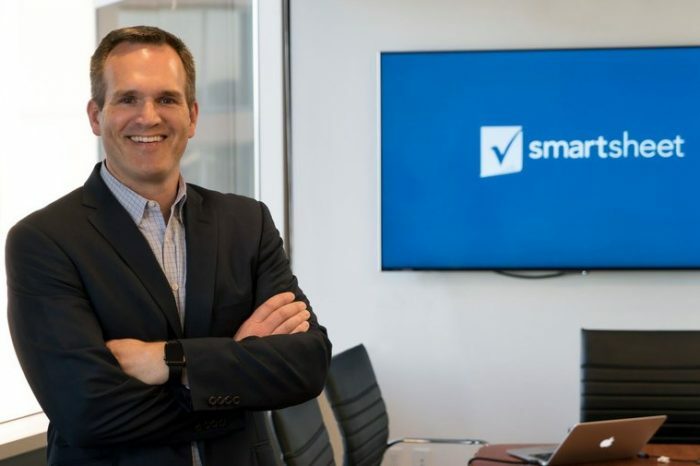 The company recently raised $1.6 million in seed funding, which will go towards expanding its business and global capabilities. 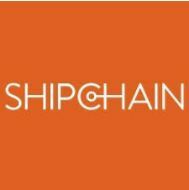 About: ShipChain is a freight and logistics platform built on blockchain. The platform focuses on an end-to-end track and trace, which allows for unification across the entire supply chain, among all carriers. ShipChain is member of the Enterprise Ethereum Alliance (EEA) alongside Microsoft, and the Blockchain in Transport Alliance (BiTA), alongside UPS and DHL. The company recently announced a pilot program with Perdue Farms. The ShipChain platform unifies shipment tracking on the Ethereum blockchain, using a sidechain to track individual encrypted geographic waypoints across each smart contract. With this system, the meaning of each cryptographic waypoint is only accessible for interpretation by the parties involved in the shipment itself. erent actors is often too expensive or even impossible. Slovenia-based healthcare blockchain startup, Iryo, is aiming to solve this problem. The startup is redefining and disrupting global healthcare by giving patients full control of their personal health records by unleashing the value of medical data for the new decentralised healthcare economy. The company provides a detail whitepaper on how to this problems using blockchain technology and artificial intelligence. About: Nano Vision is empowering global citizens to step up and lend their efforts to furthering disease-prevention research and development. Through blockchain’s inherently decentralized solution, anyone, whether they are scientists, doctors or simply engaged civilians, will have access to the data that has been collected and the research that has been recorded on Nano Vision’s platform. The initiative anticipates that this will fuel new steps in the research process, thus sparking faster innovation. 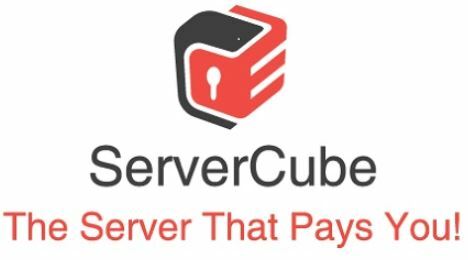 About: ServerCube is the server that pays you. The New York-base startup, ServerCube, turns the datacenter model “upside down” by putting high-powered computers, called SC Devices, into residential homes, using the existing electricity and internet. These SC Devices use GPU mining to generate cryptocurrency into a large common pool of which 15% is paid to SC Coin holders monthly. And the homeowner, or SC Host, who takes care of the SC Device is also also compensated. ServerCube is founded by Sunil Singh. ServerCube today in a press release annouced its ICO to support the growing distributed computing network that fulfills the promise of the decentralized Blockchain by inverting the traditional data center model and offering several investment opportunities at the same time. Our initial focus of the ServerCube platform is to build scale and profitability using cryptocurrency mining. But with approximately 1,500 installed ServerCube Devices running, the aggregated computing capacity will be in the same class as the Titan supercomputer. This will allow us to offer Blockchain as a service (BaaS) for all other classes of applications and customers who need Blockchain technology, but lack the technical capability and infrastructure to build it quickly. About: Photochain is the stock photography revolution. 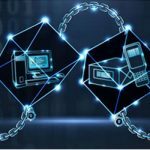 Photochain uses blockchain technology to reinvent photostocks around the buyers and the sellersPhotochain is a decentralized stock photography platform built on the blockchain. Using the Photochain marketplace, photographers can retain up to 95 percent of their potential earnings, while ensuring all copyrights and protections are in place using the company’s Digital Copyright Chain (DCC) solution. The marketplace will also connect buyers for a fair and seamless experience, eliminating most of the fees and copyright problems currently found in the stock photography market. About: Circle is a global internet finance company, built on blockchain technology and powered by crypto assets. Founded in 2014 by Tristan D’Agosta, Poloniex is a cryptocurrency exchange that offers over 100 bitcoin (BTC) markets available for trading. Circle is backed by $140 million in venture capital from investors including Goldman Sachs, IDG Capital Partners, Breyer Capital, Accel Partners, General Catalyst Partners, Baidu, CICC Alpha, EverBright, WangXiang and CreditEase. Circle Internet Financial is a closely held mobile-payments firm backed by Goldman Sachs Group Inc. Circle is a peer-to-peer payments technology company. Circle’s mobile payment platform, Circle Pay, allows users to hold, send, and receive traditional fiat currencies.. With Circle, anyone can send and transfer money like everything else online — whether your friends are in the same room or a different country. The deposits held in US dollars are FDIC-insured up to $250,000. Plus, your account details are double encrypted and you can enable two-step verification and fingerprint ID. The company also has a trading operation, which handles about $2 billion in crypto trading a month with large institutional buyers and sellers. Minimum order size for the tradition side of the business is $250,000. Circle is also working on a mobile app that will let people easily invest in crypto assets. About: PATRON is the sharing economy for influencers. Utilizing blockchain technology, Patron tokenizes influencer social media (SNS) and connect brands with local influencers around the world. Patron is a global influencer marketing platform built with blockchain technology. Started by Atsushi Hisatsumi, a Japanese influencer and entrepreneur, the company seeks to connect global influencers with brands in a secure and transparent ecosystem. Benefits of the platform include the elimination of most common intermediary fees, incentivization and voting using tokens to match parties. The company has raised over $10 million to date. About: Grid Singularity is an Austrian startup developing a blockchain purpose-built for the energy industry, backed by a team of experienced energy market professionals and leading blockchain and smart contract developers, according to its website. Grid Singularity is a technology company creating an open (permissioned) Internet-based decentralized energy data exchange platform built on the most advanced blockchain technology. This newly structured ecosystem, to be hosted by the Energy Web Foundation (EWF, see energyweb.org), provides a data transparency and integrity solution in a major shift away from a traditional, centralized model of the energy market. Grid Singularity has been created by a team of experienced energy market and policy professionals, in partnership with leading blockchain technology developers at Parity Technologies, who are principal founders of the open source not-for-profit organization, Ethereum.